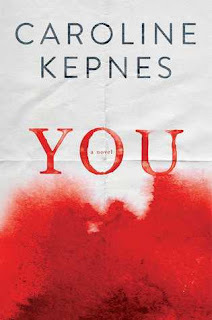 Book 34 of 2015 is You by Caroline Kepnes. I read this 432 page book in around 28 hours. Not on a weekend. I started on Sunday night and had to work a full day of work on the Monday. My obsessiveness can only be likened to that of the main character. It is hard to describe why I couldn't put this book down but I really couldn't. It is a page turner. That could be it's references to all sorts of reading material or the awful references to Dan Brown being good. Who knows? I simply couldn't stop looking at the train wreck. As someone who has had a stalker break in to my house and take the clothes I'd last slept in, I am a little more alarmed than I ever was. It is hard not to see the world through the eyes of a mostly sane person. This shows you what a stalker is really thinking and oh my gawd, I'm alarmed and not just alert now. The writing is good. The plot is understandable and crazy as hell. Having fallen deeply in love recently meant that I had felt strong emotions that he echoed. I hope my love isn't that insane. Erotomania is a problem that we dismiss but with the amount of violence against women, we have to take the obsession mixed with entitlement a lot more seriously. 4 delusional assumptions out of 5. Should I read this? Humans with vaginas should read this. What did I learn? You have no idea what is in the mind of the person trying to seduce you. Get Mace. 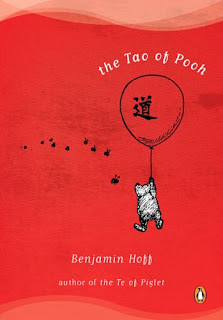 Book 33 of 2015 is The Tao of Pooh by Benjamin Hoff. There is nothing to not like about this book. I am even now considering if I'm an existentialist, as I once thought or a Taoist. I do know that I am part Pooh, part Tigger and part Eyore. That's not a bad thing. 5 honey pots out of 5. Should I read this? You should read this if you like learning about new ways of thinking or you like Winnie the Pooh. What did I learn? You will learn not to sweat the small things. 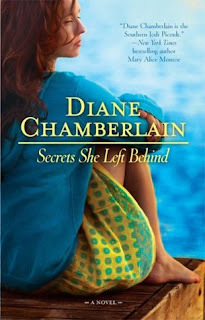 Book 32 of 2015 is Secrets She Left Behind by Diane Chamberliain. The funniest thing about reading this book is that I didn't realise it was the second in the Before the Storm series. It stands alone and I didn't even suspect I'd missed a thing starting here. That is a well written series book. If I'd bothered to read the back of this book rather than go purely off the ratings, I'd not have read it at all. It sounds very dramatic and incestuous and girly but I'd have missed a very good story and one that is written well. If you want a little teen angst and lioness mothers protecting their young then this is the book. The men who cause all the trouble are sidelined characters and it is more about the way the amazing women and their involuntarily strong children handle the outcome of their lust and bad behaviour. That in itself is a good plot. This is a good read but don't break it up as much as I did. Read it faster and without three other books going at the same time. 4 half-siblings out of 5. Should I read this? You should read this is you feel like your family isn't complex enough to burn down a church. What did I learn? We all mean well, even if we do things that seem selfish and crazy at the time. 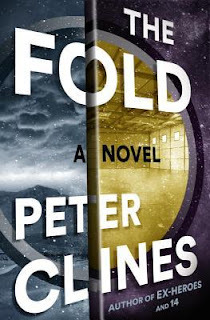 Book 31 of 2015 is The Fold by Peter Clines. This one was an audio book and was narrated by a gentleman called Ray Porter, who has changed my mind about audio books which I am not a huge fan of. He read this so well that I know I would have found it different if I had read it myself. Different and not as good. Since getting back in to science fiction, I am wondering why I haven't spent more of my life reading it when I obviously love sci-fi TV and movies. This is another one of those books that makes me slap myself for not reading more. This is good on almost every level. There is mystery, science, fantastical creatures and great suspense wrapped in action. 4 space time continua out of 5. Should I read this? If you like sci-fi then yes. What did I learn? Sometimes everyone just feels a little out of place in their lives and maybe there is a reason for that. 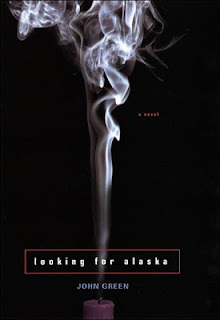 Book 30 of 2015 is Looking for Alaska by John Green. He is one of those best selling authors that you always intend to read but are not sure what to expect. This was what I expected. A book written for young adults with the pretense of depth and a whole lot of quotes strung together. There are audiences for this book, I am sure. They are just not me. The characters are predictable. The plot is obvious. It is something John Hughes would direct. This is for young people. Hey you kids, get off my lawn! 3 teenage crushes out of 5. Should I read this? Only if you are between the ages of 13 and 16 years and haven't embraced the good books your English teachers keep pushing on you. What did I learn? The trauma experienced by white middle class American kids cannot hold my attention for more than about... oh look, a castle!